Steve McQueen's 12 Years a Slave was last night named Best Picture at the 2014 BAFTAs. The epic film tells the story of a man who was kidnapped and sold into slavery in a harrowing tale. Meanwhile, Leonardo DiCaprio lost out on a Best Actor award for his turn in The Wolf of Wall Street which surprisingly won no awards on the night. 12 Years a Slave had some very stiff competition in the Best Picture category going up against Gravity, American Hustle, Philomena and Captain Phillips. Gravity didn't too bad though, winning a slew of awards as it was named Best British Film along with director Alfonso Cuaron taking home Best Director. Gravity also collected awards for Best Sound, Best Cinematography, Best Visual Effects and Best Original Music. 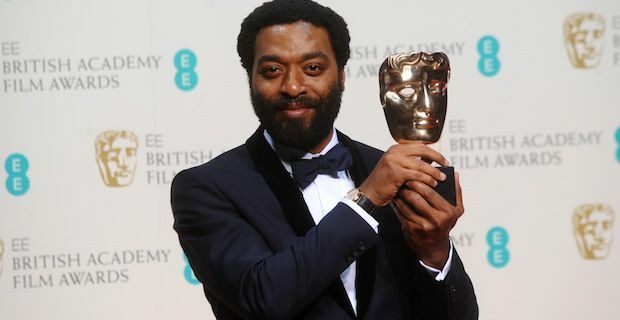 When it came to the acting awards, Chiwetel Ejiofor was named Best Actor for his portrayal of Solomon Northup in 12 Years a Slave and Cate Blanchett was named Best Actress for her role as Jeanette "Jasmine" Francis in Blue Jasmine. Jennifer Lawrence picked up yet another big award in her roller coaster career when she was named Best Supporting Actress for American Hustle which also won Best Screenplay. Barkhad Abdi was named Best Supporting Actor for his performance in Captain Phillips. Other notable winners on the night included Philomena winning Best Adapted Screenplay, Frozen, which picked up Best Animation on behalf of Disney and Best Documentary went to The Act of Killing. All in all, the 2014 BAFTAs were a raging success and now it is on to the Oscars for more fierce competition where Leonardo DiCaprio will get another shot at success.